While Ethernet switches expand a single Ethernet network, Skorpion IP routers connect two Internet Protocol (IP) networks together—passing appropriate traffic while blocking all other traffic using either a wired or wireless connection. Either Ethernet-to-Ethernet (LAN-LAN) or Ethernet-to-modem (LAN-WAN) routing is possible with external DSL or cable modems. CTRLink's routers provide either NAT or PAT and a host of features, including a stateful firewall which makes a WAN connection as secure as possible. 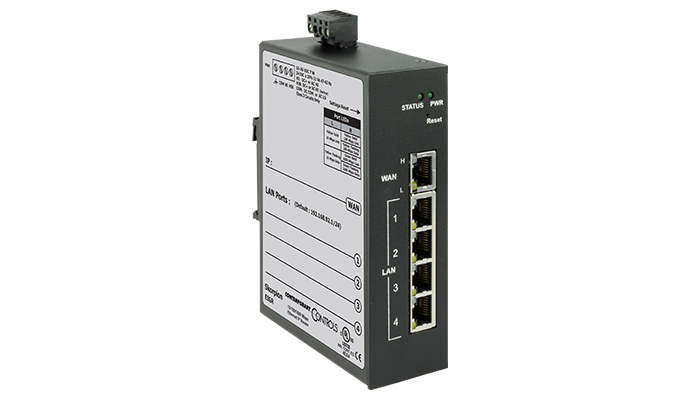 The Skorpion series of IP routers eases the integration of new machines into the existing network. Each machine consisting of multiple IP devices connects to the LAN side while keeping the same IP settings for the devices and the application, lowering installation cost and eliminating trouble shooting. The IP address for the WAN port on the IP router is the only setting that requires modification allowing multiple machines to reuse the same configuration on the LAN side. VPN models of the routers can provide secure remote access with the use of the RemoteVPN service from Contemporary Controls. 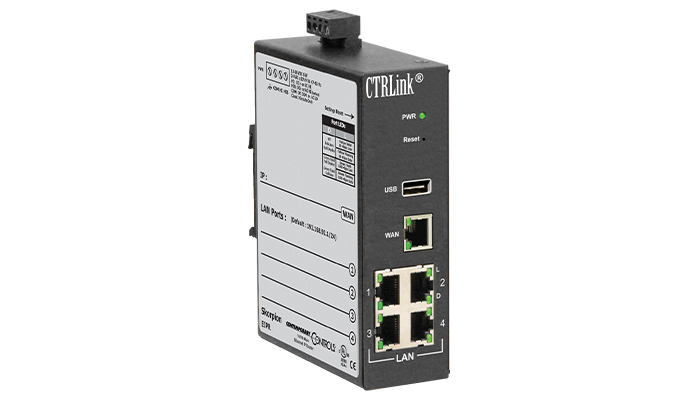 The EIPR routers have a 10/100Mbps Ethernet WAN port and a built-in 4-port LAN switch. By installing the appropriate USB adapter, a Wi-Fi LAN connection can be made with either EIPR model, or in the case of a cellular adapter with EIPR-V, a WAN connection to a cellular provider can be made. The EIPR-V has a resident OpenVPN® client for accessing a virtual private network server—thereby creating a VPN tunnel with higher security. Available as DIN-rail mounting. Operating temperature 0 to 60°C. The EIGR series of IP and VPN routers add Gigabit ports for faster speeds and higher data throughput. The EIGR-E is a wired router while the EIGR-V router adds OpenVPN server/client. As a VPN Server, up to 15 router clients and 15 PC clients can be supported. Operates over 0 to 60°C or −40 to +75°C, depending on model.